o Applications will be accepted by the West Anniston Foundation from January 1st until March 29th of each year. o Scholarships will be awarded in May of each year. 3) A current or former resident of the west Anniston community who has a high school diploma or who is a GED recipient and who has applied for all available Financial Aid.  A 250-word, typed essay by the student describing the applicant’s career goals and their vision for the west Anniston community.  Affidavit stating you have lived in the West Anniston Community for at least 36 months.  Amount of Distribution: Amount to be determined annually. 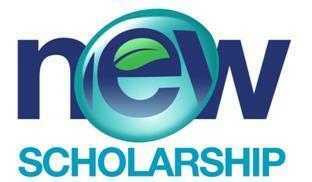  Disbursement: Scholarship awards will be disbursed at 50% per semester per student.  Contingent upon receipt by West Anniston Foundation of an official high school or current college transcript with a minimum cumulative GPA of 2.5 or higher. It is the responsibility of the student to provide the transcript or to arrange provision of the official transcript to the West Anniston Foundation. Failure to maintain a 2.5 cumulative GPA will result in forfeiture of scholarship funding for the upcoming semester and will continue until students’ grades return to 2.5. The scholarship will be held for two semesters in an effort for the student to return to the required 2.5 GPA. (At that time, the scholarship funding will be reinstated, but will not be retroactive). All scholarship funding will be forfeited after two semesters if the GPA is not returned to 2.5.  Contingent upon maintenance of a cumulative GPA of 2.5 or higher at the college, trade or technical school.  To be used in consecutive semesters. Application: Application must be submitted to the Foundation’s Office, 800 Clydesdale Avenue, Anniston, AL 36201, by March 29, 2019.